When your stomach starts growling for fast food, McDonald’s is usually one of the first places that comes to mind. Most people are probably used to small drive-thrus and compact burger joints tucked away in the shadows of larger, fancier restaurants. Several destinations around the world, however, take their local McDonald’s to the next level. The McDonald’s franchise is a huge one, and you might make the mistake of thinking that if you’ve seen one, you’ve seen them all. 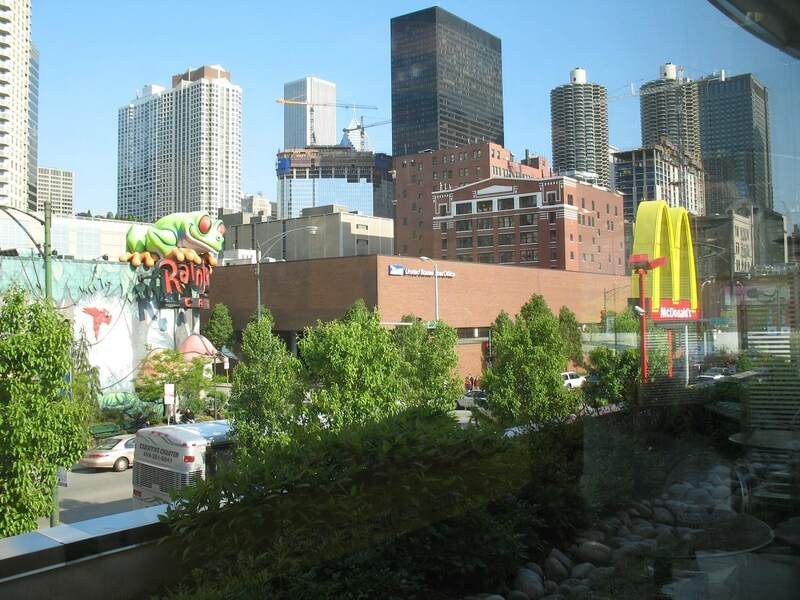 However, these 5 largest McDonalds’ in the world are sure to impress with their surprising sizes and creatively themed decor. After all, the bigger the McDonald’s, the more room there is for novelty and added attractions. Let’s take a look at these 5 biggest McDonalds’ to see how large and eye-catching this long-standing family favorite can get. The largest McDonald’s in Australia and one of the biggest in the world, the Melville Store McDonald’s puts a whole new spin on the classic burger joint. This Aussie McDonald’s has opted for a classy, dine-in feel, going with sleek interior decor and full table service. They’ve even done away with disposable paper wrappers and plastic trays, instead serving fries in wire baskets and delivering food on wooden paddles. But don’t worry– the McCafe and children’s play area remain true to their classic feel. 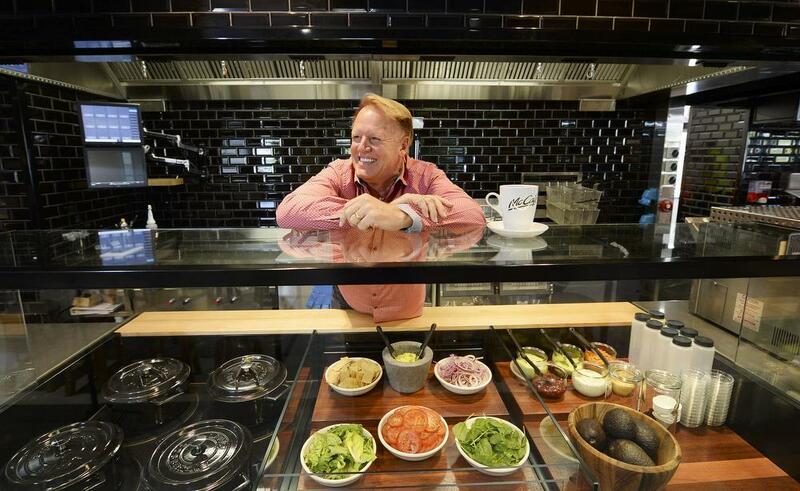 At the Melville Store McDonald’s “Burger Bar,” customers can assemble their own burgers with any toppings they like and create a taste all their own. Additionally, guests can choose novel side dishes such as avocado toast and corn fritters. The Rock N Roll McDonald’s was reopened in 2005 after demolition of the original building, featuring a rock and roll exhibit and a small museum along with the restaurant itself. This massive fast food joint also featured the first two-lane drive through in order to accommodate its hefty customer base. A recent redesign in 2017 began phasing out elements of the original rock and roll theme, but locals still fondly refer to this McDonald’s as “The Rock”. This McDonald’s has since traded in its former rock and roll style for a “green” theme, pioneering its way into the world of environmentally-friendly fast food. It paves the way to a greener future with over 1,000 solar panels on the roof of the building, an array of beautiful trees, and large gardens that provide greens such as arugula and broccoli. This mammoth establishment boasts the title of “Largest Entertainment McDonald’s in the world”. 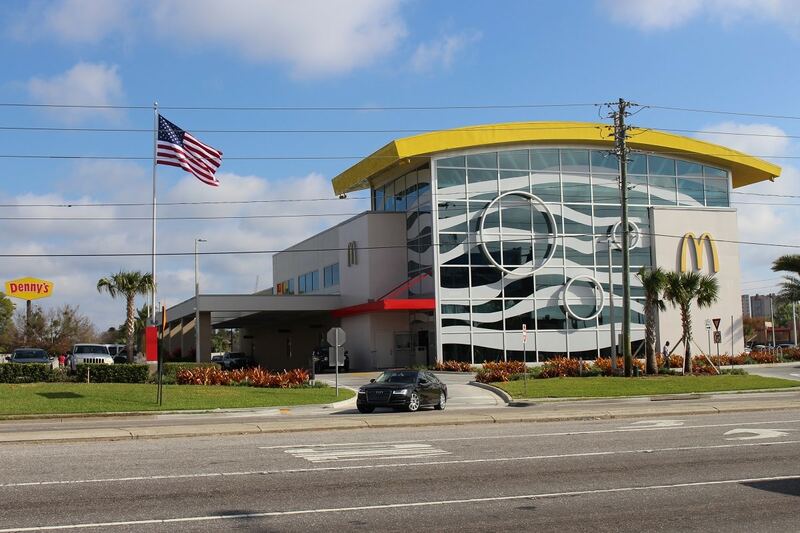 A solid cut above your average burger joint, this massive Entertainment McDonald’s offers novelties such as a 22 foot tall play structure and a 2000-square-foot arcade. The food is also guaranteed to please, and is skillfully prepared in an open kitchen with top-of-the-line commodities such as a brick pizza oven. The menu at Epic McD doesn’t just limit itself to burgers and fries. You’re bound to find something for everyone at this McDonald’s, even if members of your party are in the mood for pasta, pizza, or Belgian waffles. The “Create Your Taste” option also allows customers to order custom-made burgers and sandwiches with toppings of their choice. When this huge McDonald’s opened in Pushkin Square in Moscow, 5 thousand people eagerly attended its grand opening. Many people were willing to wait in line for six hours or more to get their first taste of American fast food. This grand opening turnout skyrocketed as the new restaurant served over 30,000 visitors that day and set a world record. It held strong for some time as the largest McDonald’s in the world, but has since been outdone. However, it will always retain its title as the first fast food joint to open in Russia. 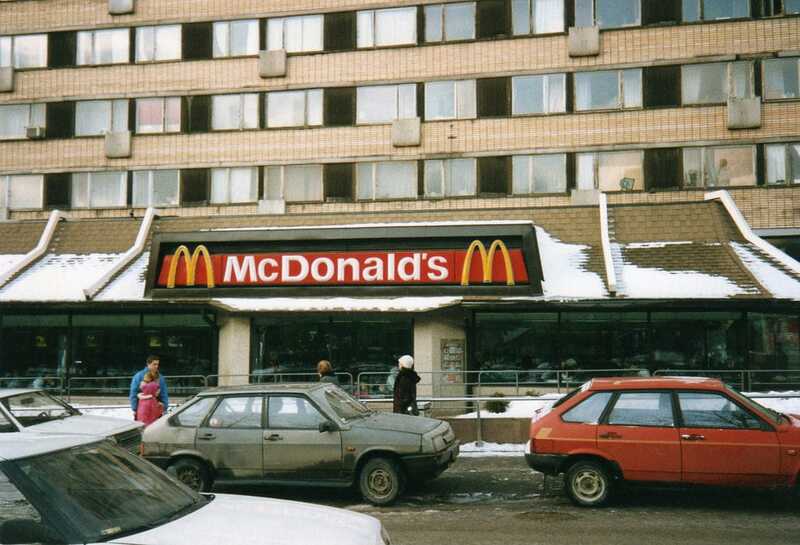 While still exceedingly popular, McDonald’s restaurants have suffered from unsteady footing in many areas of Russia after the people were encouraged during recent years to avoid western food. The Frankfurt McDonald’s in Germany is the largest McDonald’s in the world. 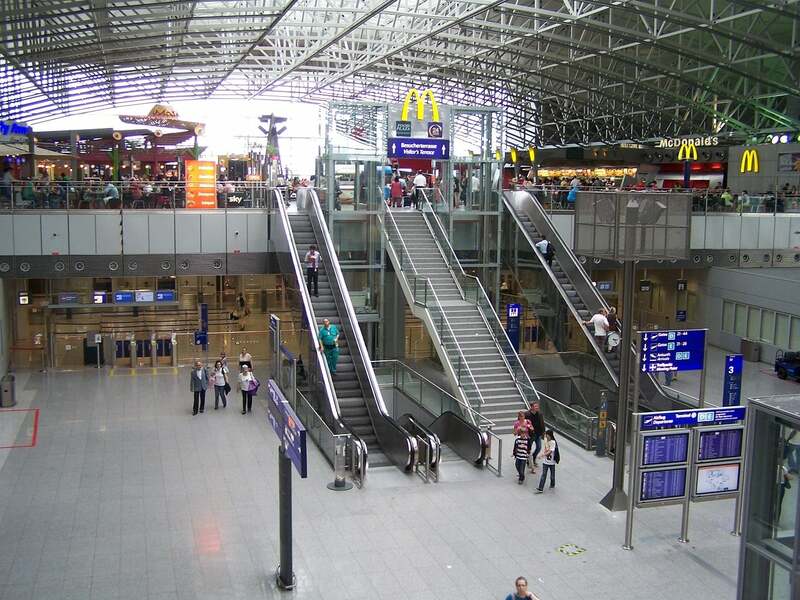 The bustling airport in Frankfurt, Germany is home to the largest McDonald’s in the country. It was renovated in 2015, taking on a more modern edge in order to maintain its standard as a landmark of cultural progression. The Frankfurt Airport McDonald’s, like many other McDonalds’ in Germany, offers table service in order to improve the quality of customers’ experiences. The friendly environment of the Frankfurt McDonald’s also includes a play area where children can enjoy themselves after their meal. Germany has proven to be a challenging environment for McDonald’s despite its widespread popularity. The fast food chain struggles to balance convenient, affordable food with the growing desire to maintain a healthy diet.